Some birds, like Barred owl, American kestrel, Wood duck, Screech owl, and Saw-whet owl nest in cavities of trees high above the ground. 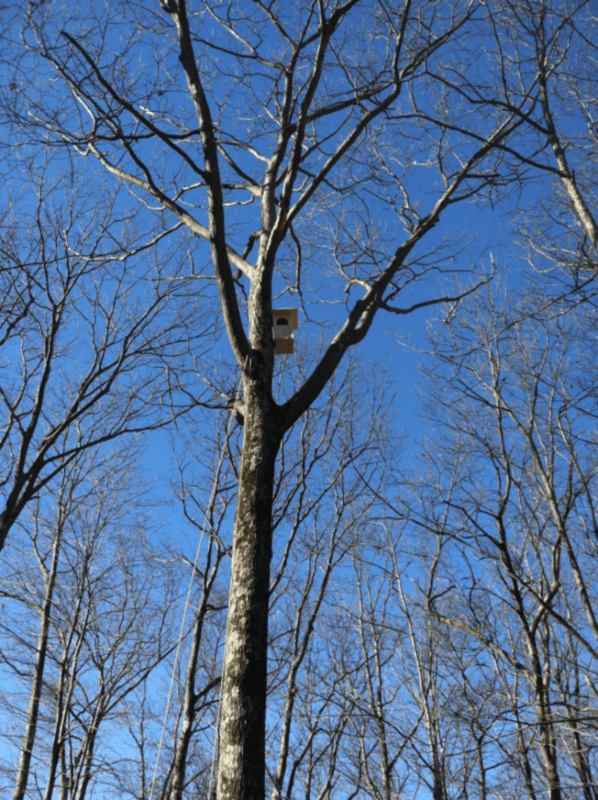 With our High Nesting Bird Box program, we install a nesting box that mimics the natural tree cavities these birds seek out. Boxes are installed higher than a typical ladder can reach, and in places where you would want to carry a ladder in the first place. Our certified ISA arborist will climb the tree with ropes and harnesses to install your nesting box 20-50 feet off the ground. These boxes are perfect if you want to invite a greater diversity of wildlife to your land, or maybe you want to introduce a natural predator to help manage the rodents in your orchard or field. Adding more habitat diversity to your property will invite a greater variety of wildlife species to call your property home. It all begins with a free consultation. Standard feeders attract more than just birds. It's almost guaranteed that unwelcome wildlife will visit and deprive birds of food. Bigger, heavier visitors often destroy feeders completely. These Canopy feeders are free from the threat of damage and provide birds with the food intended for them. 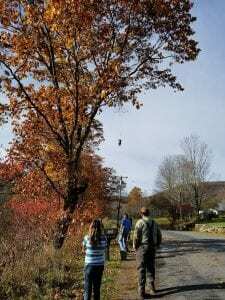 Suspended by an 1/16" cable - difficult for squirrels to grip!